A special shout out to my graphic designer and general marketing 'helper' Fe Loughran for her dedication to Donovan Park and the pursuit of Eagala! If you need some design work done I highly recommend this lady - I have used Fe for my website design/maintenance, brochure design, business cards and other marketing material. I hosted the EAGALA 5 Days Fundamentals training here in Tasmania 13-17 November, 2017 at “Violet Banks” indoor arena, owned by Mrs Sue &Mr Hugh MaGuire in the picturesque Meander Valley at Westbury. This training is an annual event that is held in a different location annually. The Westbury RSL catered for the event providing delicious & wholesome choices for morning tea, lunch & afternoon teas. Participants utilized the local B&B & Hotel accommodation in Westbury & Deloraine, 5 minutes from the venue. All participants supported the local cuisine throughout the week, including the food vans on the ‘Village Green’. There were many positive comments about the community spirit & friendliness of all here in Westbury. The Westbury Works Depot of the Meander Valley Council provided the seating for this event. I am very grateful & appreciative of the local community support for this event. This training was fully booked with 33 participants from Japan, America, UK, New Zealand, Australia & Tasmania. Our two international trainers, Mark & Tracie travelled from America & UK. 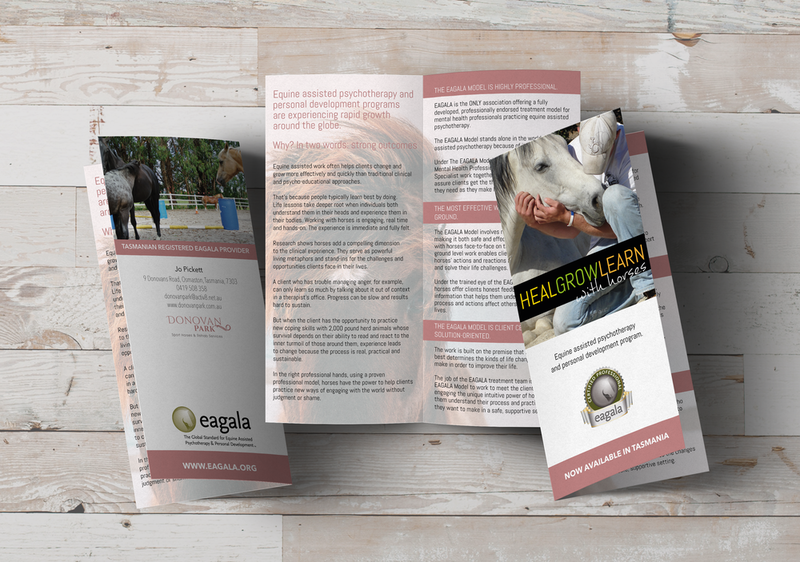 This training was attended by first timers working towards their initial Eagala certification, either as a Mental Health Professional or an Equine Specialist. 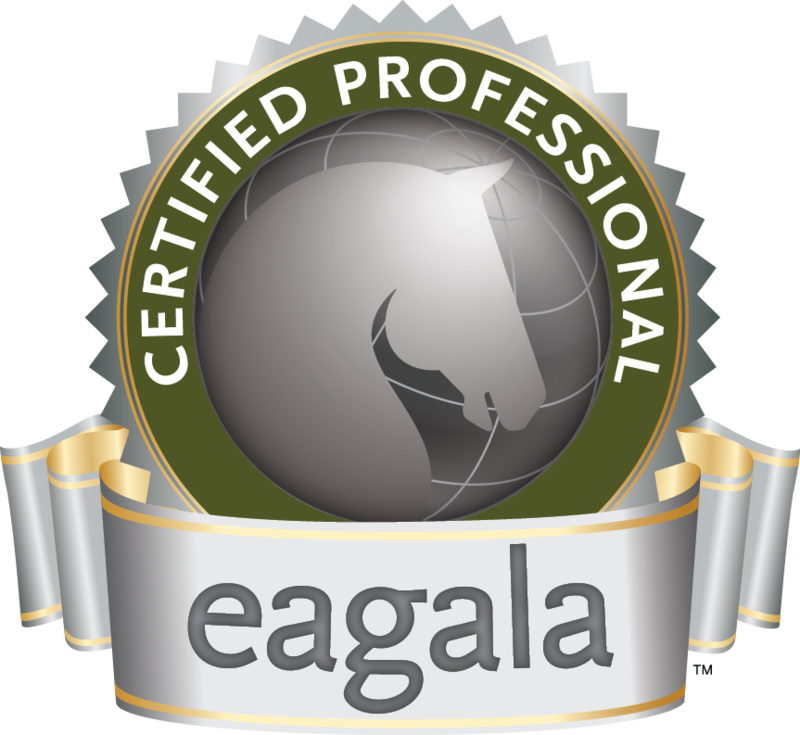 There were also experienced Eagala practicioners’ renewing their certification. The participants came from a diverse range of working environments including all male prisons, autistic farms & centres, indigenous juvenile correction facilities, youth hostels, diverse practice eagala facilities & education systems. I provided two therapy herds for the training. The first herd consisting of my regular herd being a clydieX, warmblood, welshD & Palouse pony. The second herd consisted of three borrowed white shetlands & my arabian riding pony. The two very different herds provided diversity throughout the five days & kept them fresh & keen participants. It is always wonderful catching up with fellow Eagala practicioners’ & meeting new like-minded people, but I was most excited about the seven Tasmania people present at the training. Six of these being new to Eagala. This is a huge bonus for Tasmania as we can now extend & expand the Eagala Model around Tasmania, working towards our goal of having these services available & accessible to everyone in all areas. Special thanks to ABC Radio who have supported me & covered our event & who continue to provide air-time to support our cause. The next EAGALA 5 Days Fundamentals training will be held in Geelong, Victoria May 2018. Dr Arlene Taylor Phd has worked in public health, private & public hospitals as well as with lifestyle & addiction recovery programs for over 40 years. She is a brain-function specialist, and has identified & compiled doable approaches in motivating individuals to persue gradual & permanent lifestyle changes that can help negate preventable health problems & more effectively manage non-preventable health issues.